In this fast moving world you always have to challenge yourself. Exact shows you how you can automate and digitalize your business with Exact. Work smarter not harder and visit this session as a start of your way to success. 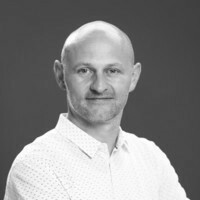 Stef has 20 years of working experience in International Technology Companies, where he worked as a trainer at Alcatel and an account manager at Oracle. Today Stef works for Exact as a Sales Executive since 3 years now. In this role he helps Small & Medium Sized Enterprises to automate and digitalize their business. This way SME’s gain time, reduce costs and focus on their business instead of on their administration.